An upset in Chapel Hill last weekend: North Carolina beat Georgia Tech at home 48-43, and suddenly the ACC Coastal is seemingly wide open once again. That’s good news for the 4-3 (1-2 ACC) Miami Hurricanes, who will see their first game action in nearly two weeks as they travel to Blacksburg, Virginia on Thursday to take on the Virginia Tech Hokies, who have an identical record. The Hokies lost to Pittsburgh in Heinz Field last Thursday 21-16, but were without their three top rushers Marshawn Williams, Trey Edmunds and Shai McKenzie. Edmunds and McKenzie will still miss the Miami game; Edmunds is out for up to two months with a broken clavicle, and McKenzie suffered a torn ACL during a win over Western Michigan in September. 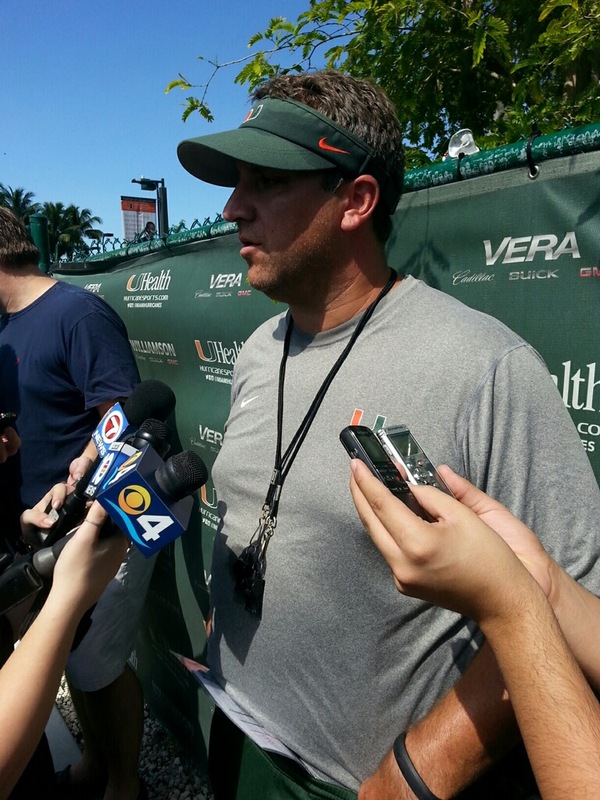 Canes head coach Al Golden still remains cautiously optimistic. One of the big criticisms from fans and analysts alike is the Canes’ defense, which is eighth of 14 in total sacks this season with 16. Even in the 55-34 win over Cincinnati on Oct. 11, the defense’s Achilles’ heel began to show later in the game when the second and third teams couldn’t quite slam the door on a big win. Defensive coordinator Mark D’Onofrio felt they missed an opportunity to get stronger in a blowout. In particular, the defensive line has taken a lot of heat for simply not being present and quick enough to stop the run, giving up 300 yards twice this season against Nebraska and Georgia Tech. However, D’Onofrio is still confident that the line can show the flashes of excellence like they did in the Duke game, giving up only 85 yards on a rainy night in Miami. The Canes and Hokies kick off at 8 p.m. Thursday in Blacksburg, Va. on ESPN.